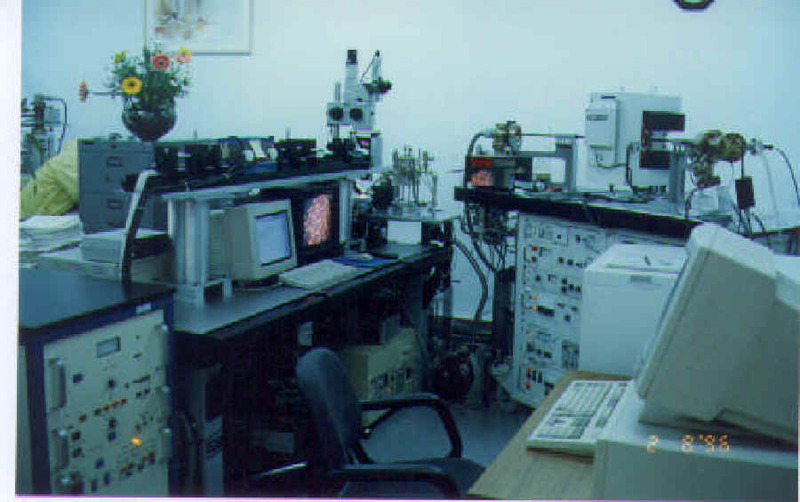 The 40Ar/39Ar geochronology laboratory at Dept. Geosciences, National Taiwan University, was financially founded with the funds from the University and National Science Council in 1992. With additions of new facilities and parts, the lab is now fully operational and is among the most technically sophisticated 40Ar/39Ar lab in East Asia. Conventional Furnace System: The heart of the conventional system is a Varian-MAT VG1200 mass spectrometer. It is equipped with a double-vacuum Mo furnace and an all-metal extraction line. The mass spectrometer, furnace, and extraction line are all under computer control and fully automated. Laser Ablation System: The system consists of one Nd-YAG laser ablation systems, an all-metal extraction line and a VG3600 mass spectrometer. The Nd-YAG system operated in continuous mode, is performed for single-grain fusion and laser step-heating experiments. Laser Probe System: The Nu Noblesse mass spectrometer is equipped with a New Wave LUV 266 laser system operated in pulsed mode which provides accessories to high spatial resolution of argon distribution in mineral grains and single-grain fusion analysis. By applying the patented zoom optics, different isotopes configurations can be measured by Noblesse simultaneously in the multiple collectors. Currently, a number of projects are being carried out in the lab., including basin formation, mantle dynamics, plate interactions and catastrophic events in East Asia. Many of them are involved in collaboration with scientists from Australia, China, Indochina, Japan, Korea and US. Certainly, argon diffusion in mineral is still our best interest.